Meet our licensed New Zealand immigration adviser in Germany. Looking for a licensed New Zealand immigration advisor in Germany? Meet Katrin Maja O'Flynn. Katrin Maja O'Flynn, originates from Germany. She studied at Freie Universitaet of Berlin, completing her Master’s in Business Administration (MBA). Always a keen traveller, Maja (as she is known to us all) embarked on some overseas adventures culminating in her arrival in South Africa in 2003. It was her experiences during her travel and her passion for service that planted a seed. A seed that saw The Intergate Group born in 2006 we've had more than 12,000 happy clients. 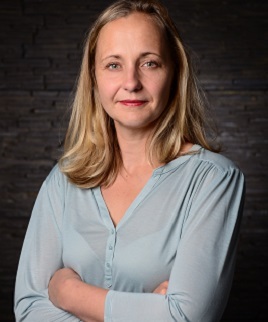 You can view Katrin Maja's credentials on the Immigration New Zealand website here, and connect with her on linked in here. As with many businesses Intergate started with humble beginnings. Today the business is home to more than 120 staff over 8 offices stretching from Cape Town to Frankfurt and Liverpool. Contact your New Zealand Immigration Advisor in Germany today! Customer care is one of the central aspects of our organisational culture. Myself and my team understand that total customer satisfaction is the only successful formula that can carry us far in a competitive industry. First, our business must offer and deliver a superior service that exceeds our client expectations. The result is excellent advice and successful migrations. Secondly, that the Intergate Group of companies must assume responsibility as good corporate citizens. Third, and equally important. That the core of what makes us successful is not our leading IT systems nor just having a great service. It is the dedication and excellence of our people. Immigration is about individuals; it is peoples live's. Therefore, it’s our duty to ensure we provide the support, services and commitment that our clients need. Support, not just in obtaining the correct visa or permit, but also in making the move to New Zealand a successful one. I take my role, as your licensed New Zealand immigration advisor in Germany very seriously Due to this, I am profoundly aware of the impact my advice and services will have on your immigration. I therefore take this chance to guarantee you of my best attention throughout each and every step of your migration. I look forward to welcoming you to Intergate and assure you that you could not be in better hands. Contact Katrin Maja today. One of the only German based licensed immigration advisers for New Zealand.